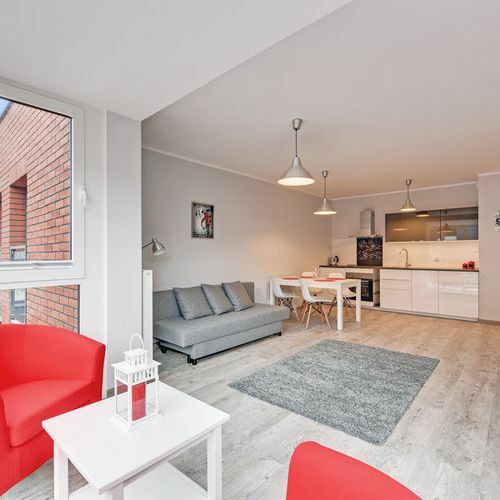 Rooms, services TriApart Chmielna Park Red Gdańsk is offering a tasfefully furnished, nice room for those looking for a place to stay at in Gdańsk. The apartment is pet-friendly, so gladly hosts you and your pet as well. If neccessary, you may park your car at the parking place of the apartment for free. In case you'd bring your laptop along, you may go online via Internet connection available in the rooms. All rooms come with a separate toilet and bathroom. You can find the exact list of services provided by TriApart Chmielna Park Red Gdańsk (including those for extra fees) and the exact equipment of the rooms on the information sheet below and on the information sheet of the respective rooms. Location The apartment is National Museum Gdansk 900 meters, St Catherine Church 1.7 km, Ambersky ferris wheel 900 meters, History Museum Gdansk 900 meters. Payment When paying your room, you may choose from the following payment methods: cash, debit/credit card. To confirm your reservation TriApart Chmielna Park Red Gdańsk is asking you to pay 30% in advance. Arrival, opening hours The earliest time to check in to your room is 16:00, the latest time to check out of your room is 10:00. The personnel can communicate with you in the following languages: English, Russian, Polish and Ukrainian. 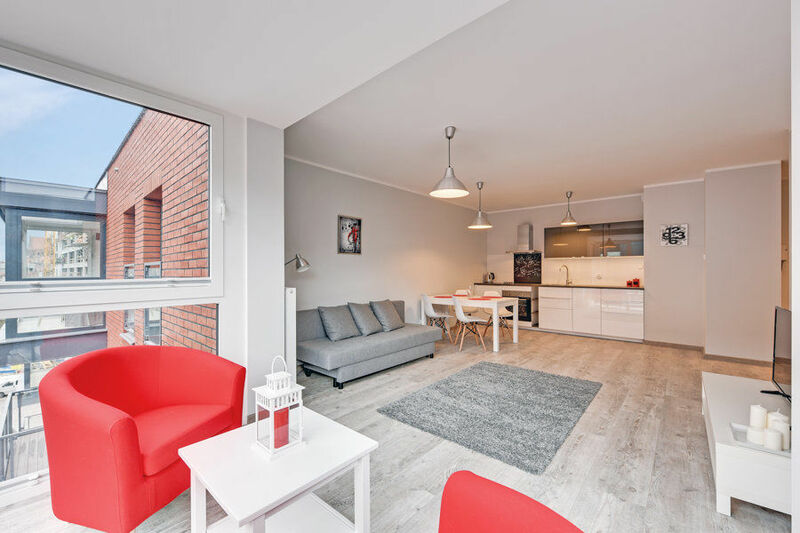 Upon check-in, the guests are required to pay a security deposit of 350 zł (~81.79 €) , which is fully refunded upon check-out in case no damage to the property is done!